You never know who you’ll run into at a frying pan throw in the Adirondacks, but there I was with my little camera and someone said my name. Turning around, I could see two pairs of eyes and big smiles beneath the snow gear. 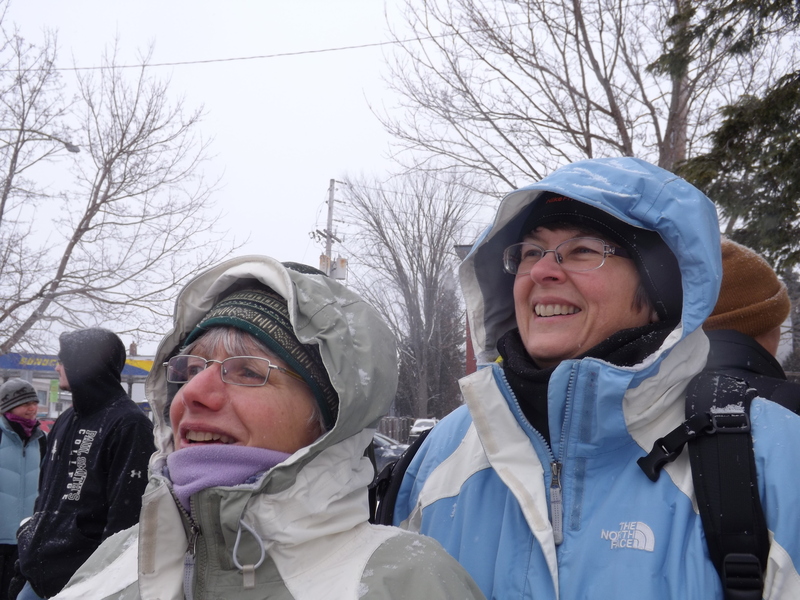 It was Jelane and Eileen, of the Travels in Abbey blog, on one of their weekend jaunts (this time minus the infamous Abbey). Eileen and Jelane are awed by the spectacle of the FPT. At my home in northern CT (which is only an hour from southern CT), when things get cold—like last week—we stay in and eat soup, throw a log on the fire, and curl up with the remote or a book. But here in Saranac Lake, the coldest place in the continental U.S. –or as their new slogan reports, “the Adirondacks’ coolest place—they’re out all night. 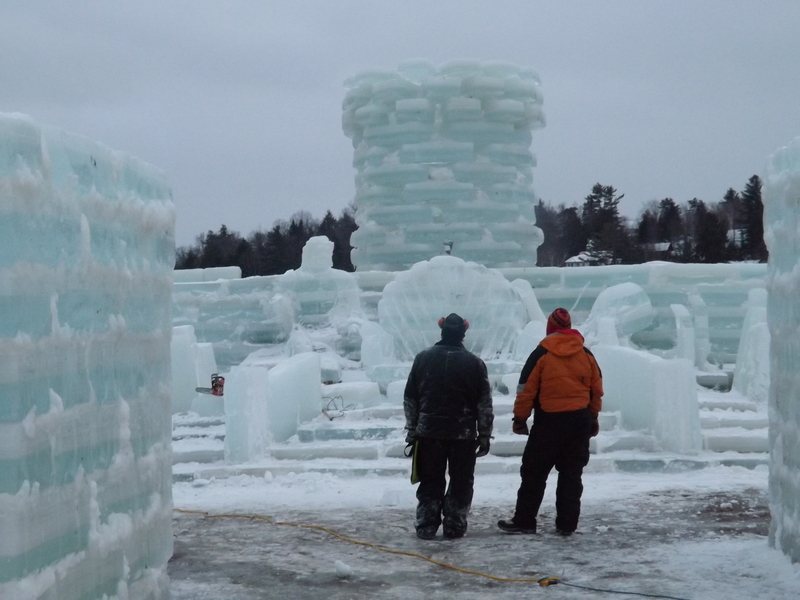 It’s Winter Carnival, an event they have been holding on and off for 116 years.